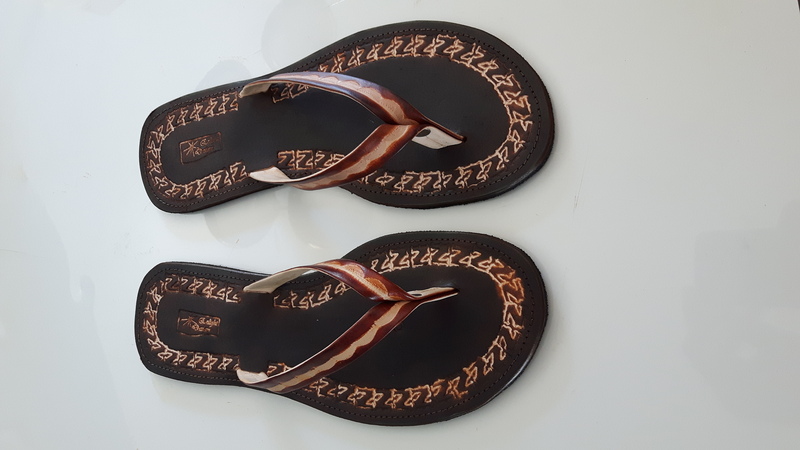 Our women natural brown crease strap leather sandals are made from leather with carving. 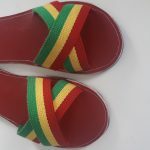 They are a feel good flip flop sandal with the high quality of leather. 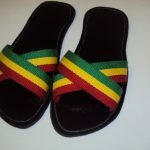 They are available in the colour dark brown. 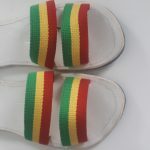 The insole is made of a smooth carved material. 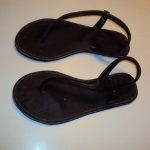 The bottom is made from recycled rubber. 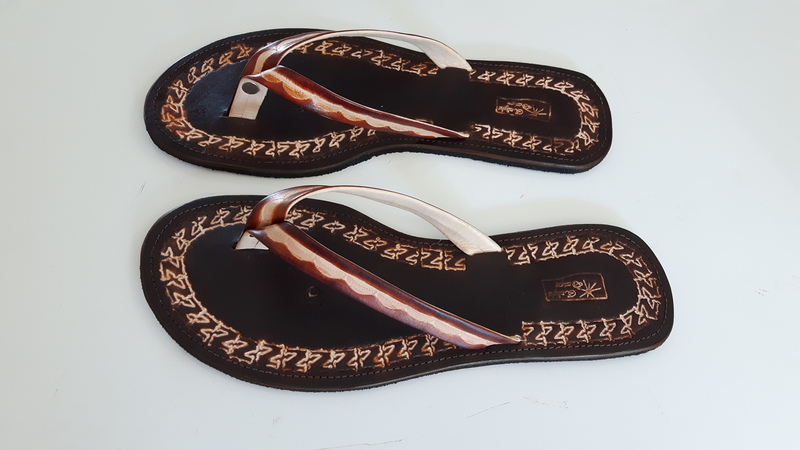 Should you be interested in the same design sandal with leather insole, please send us an email requesting this and we will provide a quote for you.